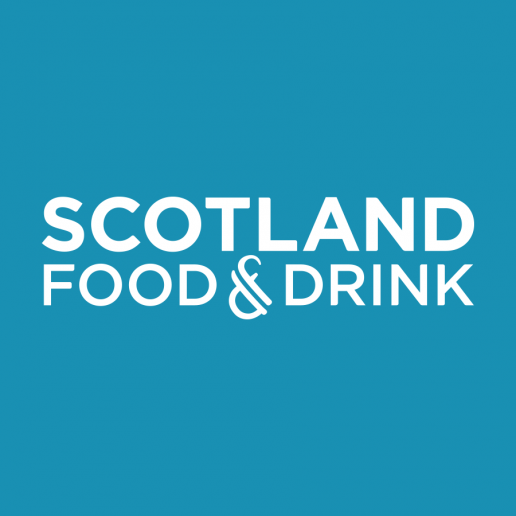 Scotland Food & Drink, established in 2007, is a not-for-profit organisation that was created to guide food and drink companies of all sizes towards increased profitability. Scotland Food & Drink approached us to produce a booklet to be used at their annual conference demonstrating how the industry has grown. 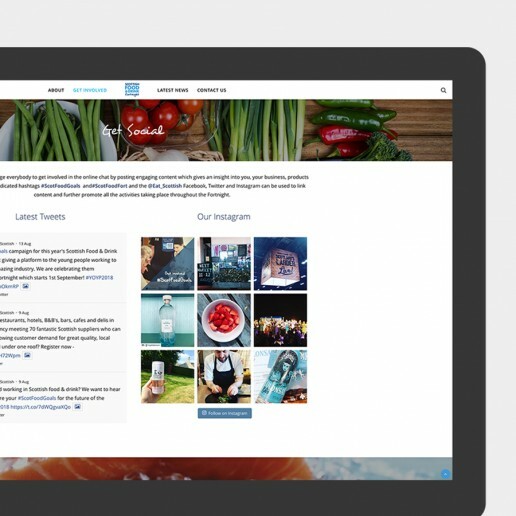 We used their brand colours and set the infographics out so that it was clean, clear and easy to read. We also organised print and delivery. 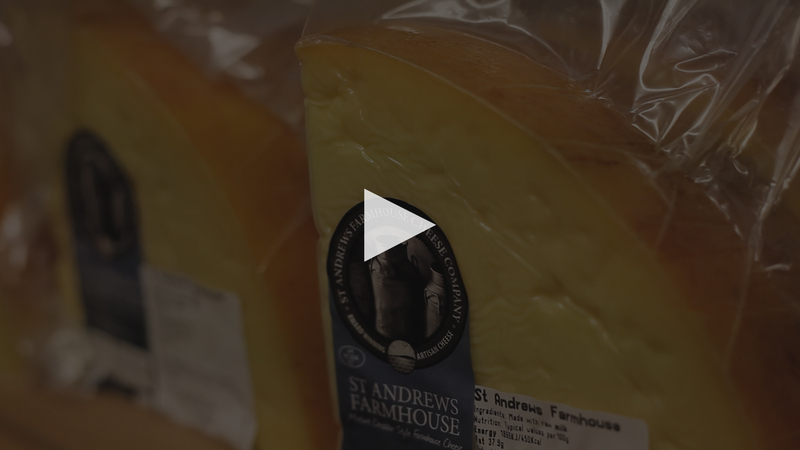 We’ve produced two short promotional videos for Scotland Food and Drink; The first was promoting Scottish cheese being exported to France by Clarks Speciality Foods of Penicuik and features an appearance by Rural Economy Secretary Fergus Ewing. 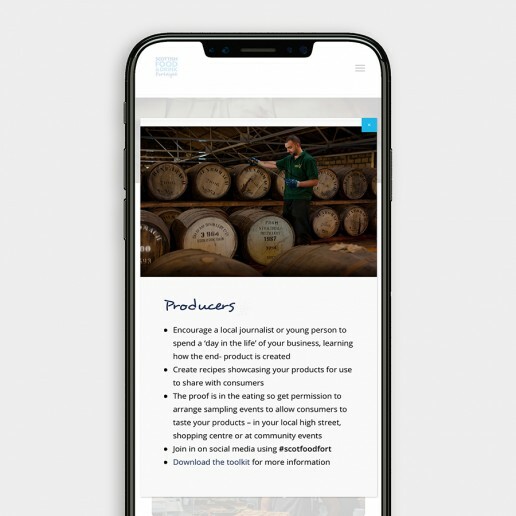 The second involved video editing for the Showcasing Scotland Regional Events, which gave viewers a flavour of the day. We also produced and added a clip of Chief Executive, James Withers. 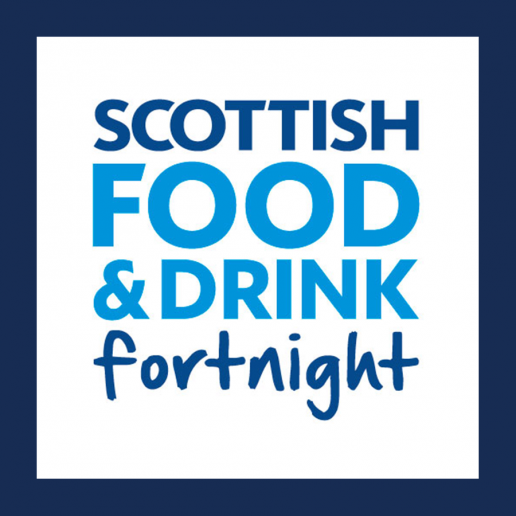 Scottish Food & Drink Fortnight 2018 took place between 1-16 September and provided the perfect opportunity for everyone to get involved in celebrating and enjoying fantastic Scottish produce.  This year’s Food & Drink Fortnight returned with a unique focus on celebrating talented and innovative young people. We were delighted to get involved with the design and build of their website portal. 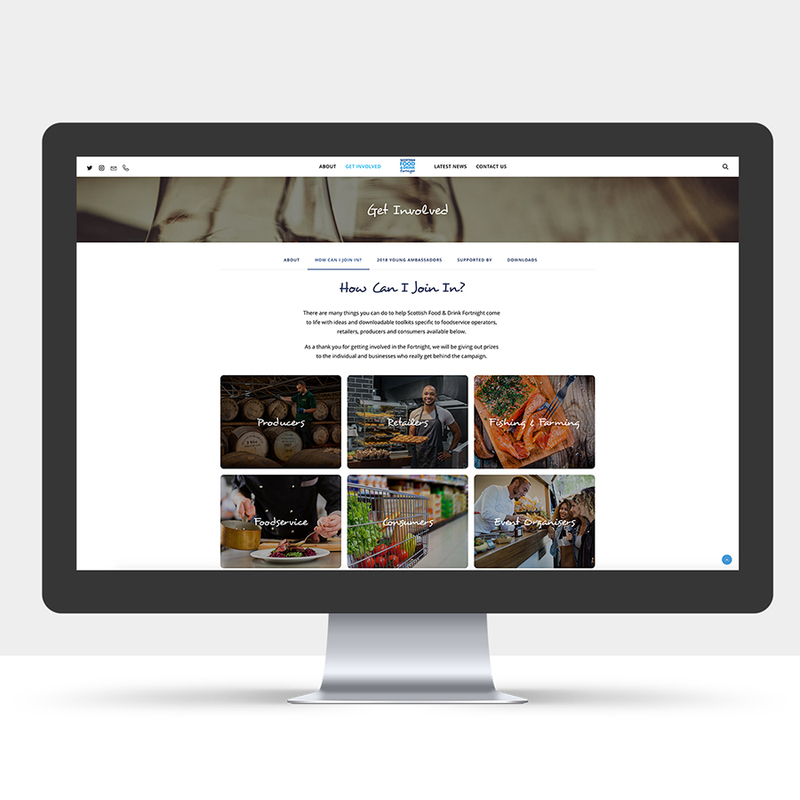 The single page, responsive site has details of how to get involved as well as sharing Eat Scottish’s recent social media feeds. "really appreciate all the work you've done -I'm so happy with how it's turned out"